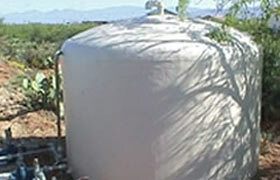 Water storage is essential for any home, business, farm, job site or industrial facility. With a wide selection of tanks and containers, we aim to provide you with the perfect tank for your location and liquid storage requirements. Whether you are looking to store drinking water, rain water, non-potable water or waste water, we have a tank that can meet your needs! 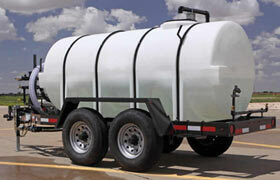 Standard models include portable water trailers, emergency water tanks and flexible water storage bladders. Questions? We can help! Call us: 1-772-646-0597 or request a price quote. For more information on each of these water tanks and how they can be used in your location, please check out our water tank selection listed below. 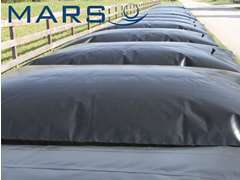 While many of our tanks come in standard sizing options, we can accommodate custom requirements as well. If you are dealing with specific tank requirements or custom specifications, please do not hesitate to contact us with your project details. 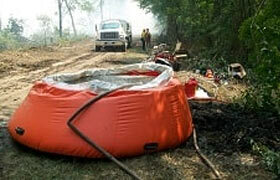 When you need liquid on the go, check out our selection of Portable Water Tanks. Designed for liquid transport, these trailers have been used around farms, industrial facilities, turfs, arenas and other areas where watering vegetation is required. 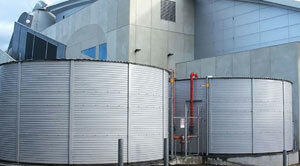 For applications that require emergency storage or quick response, check out our Emergency Water Tanks. 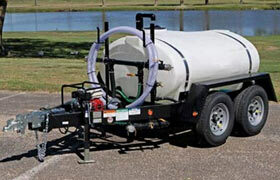 These optionsinclude quick response open top frame tanks, onion tanks, and small water bladders. Rainwater Tanks are a great option for anyone looking to decrease water costs, store water for droughts and water shortages, or become more environmentally friendly. 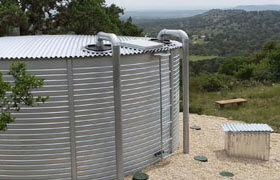 Constructed with robust exteriors that are built to withstand long-term outdoor use, these tanks successfully collect water for storage and can be continuously reused. Questions? Give us a call at 1-772-646-0597 and we will be happy to discuss your requirements. 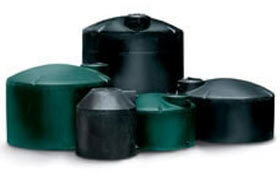 To view all our water tanks in one location, check out our Water Containers Product Listing. Our team is committed to helping you find the right tank solution for your needs! If you are ever unsure of which container will work best for your application, please give us a call at: 1-772-646-0597. We are more than willing to assist you through the selection process to find the tank that will work best for you!